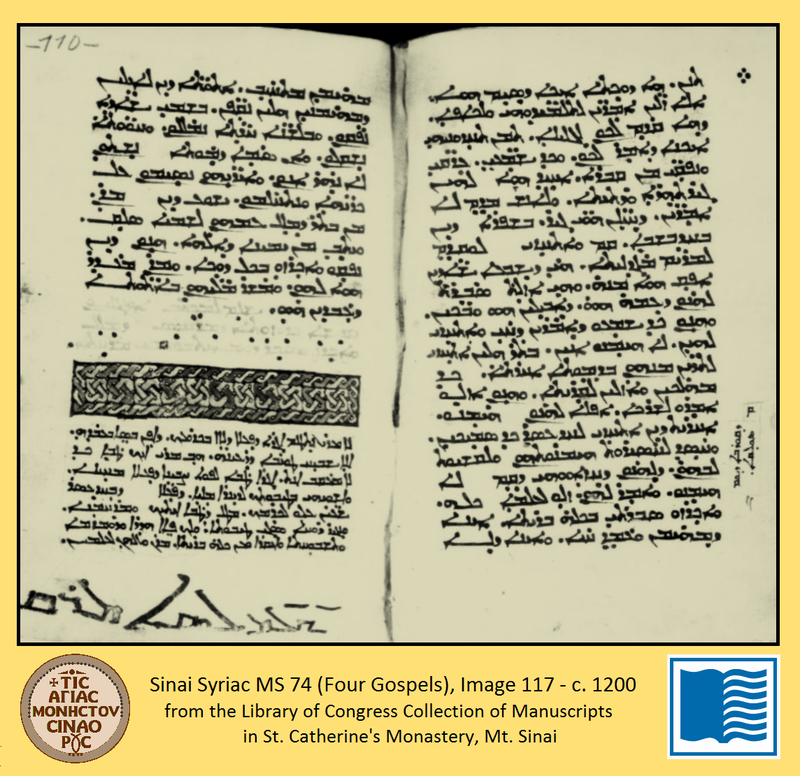 The collection of page-views of manuscripts at Saint Catherine’s Monastery at Mount Sinai housed at the Library of Congress includes not only Greek manuscripts, and Georgian manuscripts, but also Syriac manuscripts. 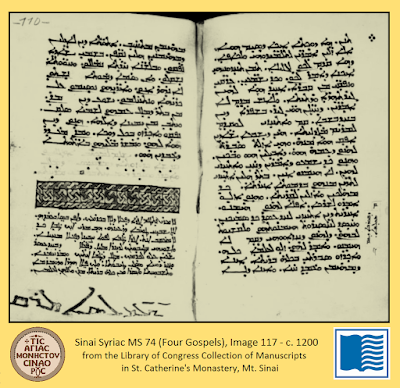 A series of links to the Syriac New Testament manuscripts in the collection is at the end of this post. The Fourfold Gospels in the Writings of Ephrem, by Matthew Crawford. 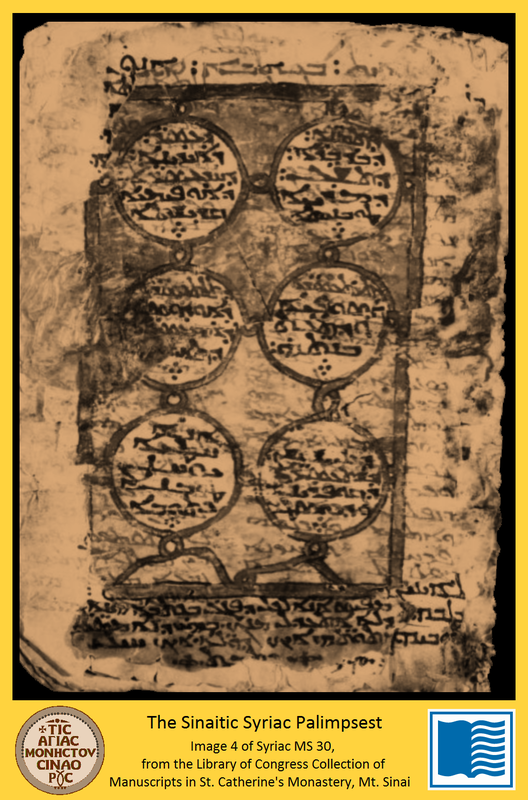 Sebastian Brock has provided a collection of Syriac resources, including information on patristic writers such as Cyrillona and Isaac of Antioch, who are not even named in the list of cited authors in UBS4. Hugoye: Journal of Syriac Studies, is crammed with articles keeping readers up to date about Syriac discoveries and research, especially regarding Syriac patristic writings. George al-Banna has a series of video lessons on how to read Syriac. The Meltho font may be useful if you want to write Syriac electronically. MS 2: Four Gospels (500’s) This is a very early copy of the Peshitta Gospels. MS 3: Pauline Epistles (c. 500) This is the same manuscript as Schøyen MS 2530. Andreas Juckel has made a thorough analysis and full collation of this manuscript’s text. MS 30: Lives of Holy Women and Four Gospels (Sinaitic Syriac Palimpsest) (400) This is the famous (or infamous) Sinaitic Syriac palimpsest; its upper writing tells about events in the lives of some Christian ladies; the harder-to-see lower writing is the (incomplete) Gospels, from about 400. 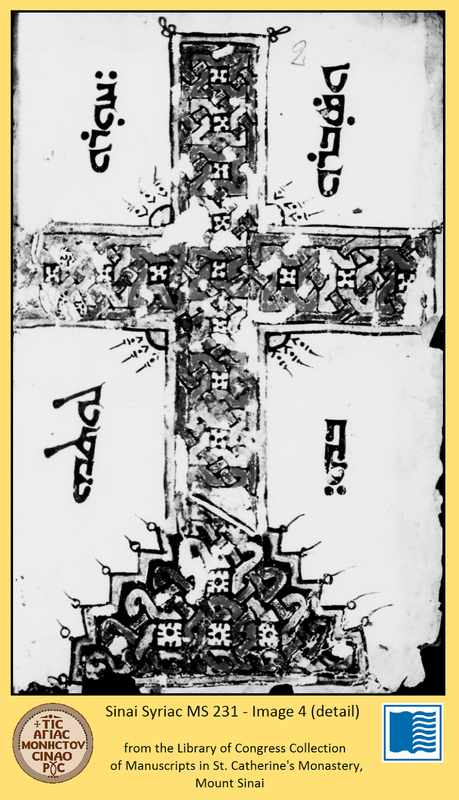 This manuscript’s Gospels-text is closely related to the text in the (also incomplete) Curetonian Syriac Gospels manuscript. And if that’s not enough, the contents of more Syriac manuscripts, from other places, can be accessed at MSS-Syriaques and at the Mingana Collection.